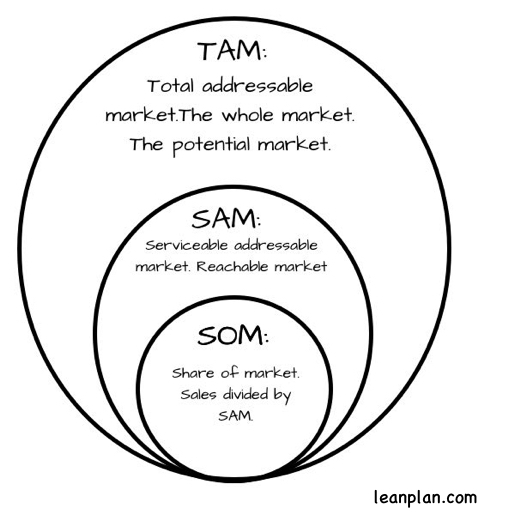 TAM stands for total addressable market, or total available market. That’s the entire potential market. For a movie theater, that’s probably a total population over the age of two and under 85 or 90. It’s a large and essentially useless number. SAM substitutes serviceable for total. Serviceable addressable or serviceable available, So that’s a more useful number. I would define a movie theater’s SAM as the number of theater tickets sold per month or year in its geographic area. Others might make it the whole population, based on the assumption that even people who didn’t go to the movies during that time period could still choose to go tomorrow. SOM stands for share of market. People often refer to market share. I would divide a theater’s tickets sold per month or year by the total tickets sold in the whole area for a month or year. So for example, if this theater sold 30,000 tickets last year and all the theaters in the area sold 100,000, then this theater had a 30% share. The problem with all of these terms is that they are buzzwords. I prefer to talk about potential market and current market share, and to make the potential market the available whole market. I don’t like acronyms and buzzwords that confuse real meaning. A market analysis is about potential customers, not actual customers. 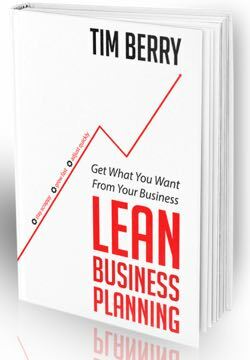 If you need it for your business plan event, include an analysis of potential customers. As an essential first step, estimate how many potential customers there are. The way you determine that depends on your type of business. For example, a retail shoe store needs to know about individuals living in a local area; a graphic design firm needs to know about local businesses; and a national catalog needs to know about households and companies in an entire nation. This is where those TAM, SAM, and SOM breakdowns fit (if you insist on using buzzwords).